Rearranges loops in regular n-gons. Take a look at our little script, which we gave birth to recently. The whole idea came up when we had to model some 100% planar-cut bodies, which is a task 3ds-Max is actually not too good at. 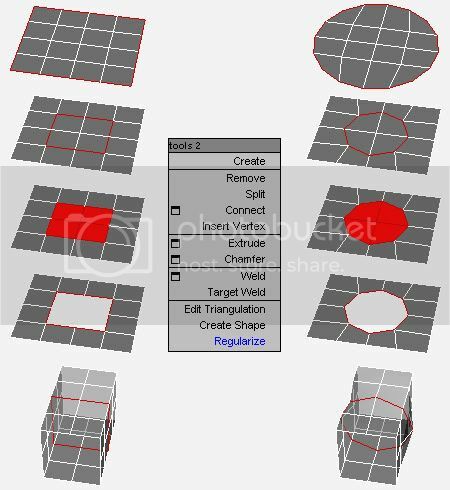 Our tool should be quite useful for various technical stuff, crystalline objects or freeform-concrete-shapes (for our architectural friends out there).